A loyalty program brought to you by BreadTalk and Toast Box, that rewards you with delightful savings and perks at over 100 outlets islandwide in Singapore. Register and purchase a card to uncover these delights immediately! delightful perks, with $0 membership fee required! Exclusively for Friends of BreadTalk Rewards. Find out more. Buy 1 get 1 free bun/kopi. Receive e-vouchers in your birthday month. Make cashless payment with a digital wallet on your mobile. You can even track your transactions! To redeem, simply flash e-voucher available in your BreadTalk Rewards app. *While stocks last. Not available at BreadTalk Singapore Cruise Centre and United Square. Other terms apply. Select "Purchase New Card" or "Link Existing Card"
Complete the steps and you're done! Welcome gifts will be loaded upon successful purchase of card and registration. Please select the relevant topic below for us to assist you better. 1. What is BreadTalk Rewards? BreadTalk Rewards is a loyalty program that rewards our customers when they shop or dine at BreadTalk or Toast Box stores in Singapore. With BreadTalk Rewards card/app, you can make payments conveniently using the stored value in the card/app. In addition, when you register with us, you’ll get to enjoy exclusive perks and privileges! 2. Where can I purchase a BreadTalk Rewards card? The BreadTalk Rewards card is available for purchase at more than 100 BreadTalk and Toast Box stores* in Singapore. Alternatively, just download the BreadTalk Rewards mobile app from Apple App Store or Google Play store, or online at www.breadtalkrewards.com. 3. What are the benefits of registering as a Friend of BreadTalk Rewards? Upon successful registration with purchase of e-card / linking of existing card, you can start enjoying exclusive treats and privileges. Enjoy convenient cashless payments, value deals and keep track of your rewards at your fingertips! Friend of BreadTalk Rewards perks from time-to-time. ##Limited to 1 item, one-time redemption via e-voucher. E-vouchers are valid for one-time use within the first month upon successful sign up and linking of card / purchased an e-card. For buns $2.10 and below from BreadTalk and small hot beverage from Toast Box. ^Valid on your birthday month only. All e-vouchers are not valid with any other discounts, promotions, merchandise and set meals. 4. Must I register to be a Friend of BreadTalk Rewards? Enjoy exclusive perks and promotions! Protect your account balance in case of lost or stolen card. Alternatively, if you do not register as a Friend of BreadTalk Rewards, you can still use the bun or kopi packages purchased on the card or the stored value on the card to make payment for your purchases. However, we encourage you to register with us as there are exclusive perks for Friends of BreadTalk Rewards, so better register ya! 5. Is there a membership fee? There is no membership fee to sign-up. This program is our way of thanking our loyal customers for their support. Simply download BreadTalk Rewards app, purchase an e-card, load it with stored value or Buns / Kopi packages, or link the physical card that you have and you are good to go! 6. Is there a mobile application that I can use to keep track of my membership and account? If you have registered your card, you may check and keep track of your stored value, e-vouchers, and account details via our BreadTalk Rewards mobile app, or www.breadtalkrewards.com. Our BreadTalk Rewards app can be downloaded from App Store and Google Play. 7. How do I register to be a Friend of BreadTalk Rewards? Simply download BreadTalk Rewards app. 8. Will there be a physical card issued to me after I sign up and purchase an e-card online? No physical card will be given if you sign up and purchase an e-card via BreadTalk Rewards app. The e-card has exactly the same functions as a physical card, but with added convenience as it is accessible on your mobile phone through our BreadTalk Rewards app or www.breadtalkrewards.com. 9. I have registered as a Friend of BreadTalk Rewards. Do I still need to keep the physical card if I already have the mobile e-card? The physical card can still be used for your purchases but using your e-card is cooler and more convenient, right? 10. How do I start using my BreadTalk Rewards e-card to redeem my e-vouchers? You may start using your e-card through our BreadTalk Rewards app. Present your e-card, inform our staff that you'd like to use your e-vouchers or stored value when you make your purchases in-store, and make payment with a scan of the QR code. 11. I recently purchased a BreadTalk Rewards card. What should I do with it? Awesome! Now all you have to do is to register here and start enjoying the perks. You can also start using the card to make payment for your purchases. 12. How do I get the ‘Buy 1 Get 1 Free’ BreadTalk Bun & Toast Box Kopi e-vouchers? Purchase a physical BreadTalk Rewards card in-store, create an account through our mobile app or www.breadtalkrewards.com, and link your card to your account. The e-vouchers will be loaded upon successful registration and linking of card. Sign up as a Friend of BreadTalk Rewards through our mobile app or www.breadtalkrewards.com, purchase an e-card, and the ‘Buy 1 Get 1 Free’ e-vouchers will be loaded into your account. 13. 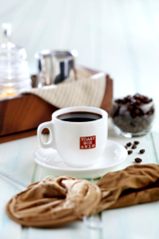 Are both physical and e-cards eligible for the ‘Buy 1 Get 1 Free’ BreadTalk Bun & Toast Box Kopi e-vouchers? Yes, please refer to point #12 on how to receive the e-vouchers. 14. Are the ‘Buy 1 Get 1 Free’ BreadTalk Bun & Toast Box Kopi e-vouchers issued on a per card basis? The welcome gifts, which comprise the ‘Buy 1 Get 1 Free’ BreadTalk Bun & Toast Box Kopi e-vouchers are issued per account, not by per card purchased. 15. Where can I top-up value to my account? You can sign in to your account and top-up online, or visit any of our BreadTalk/Toast Box* stores to add value to your card. 16. What are the payment methods available for top-up/purchasing packages? We accept VISA and MasterCard when you make purchases through our website or app. Payment methods may differ in stores. 17. Can I top up the same card with stored value and what are the minimum and maximum amounts that I can top-up? Yes, you may. The minimum top-up value in one transaction is S$20 and it increases in denominations of S$20. You can top-up a maximum of S$100 in one transaction. A maximum value of S$300 may be stored on any BreadTalk Rewards card at any given time. 18. What are the promotional packages available in the program? With the BreadTalk Rewards card, you can purchase e-voucher packages to enjoy 12 buns* from BreadTalk or 12 cups of small hot beverages* from Toast Box at a value deal of $18.60. *For buns $2.10 and below, and small hot beverages only. Valid for four (4) months from date of purchase. Promotional items not included. 19. Is the BreadTalk Rewards card transferrable? Once registered, the BreadTalk Rewards card is not transferrable and cannot be unlinked as it is linked to your account. 20. Where can I find information on the latest promotions for Friends of BreadTalk Rewards? If you are a registered Friend of BreadTalk Rewards, you will be notified on promotions via email. Alternatively, you may visit our website or app for updates on the latest deals/promotions. 21. What should I do if I have lost my BreadTalk Rewards card? The BreadTalk Rewards card is to be treated like cash. It cannot be replaced if lost, stolen or destroyed unless you have registered it and reported the loss. You may also report your lost card by calling this number (+65) 6747 1211 and our customer service team will assist you. 22. What is the validity of my BreadTalk Rewards card? The BreadTalk Rewards card has no expiry date but the stored value on the card expires two (2) years from the date of your last top-up whilst the e-vouchers are valid per the expiry date stated. 23. Will my credits/e-vouchers expire if I do not use them for a long time? All of our e-vouchers come with expiry dates. The stored value on your BreadTalk Rewards card expires 2 years from the date of the last top-up. 24. Where can I check the expiry dates of my stored value/vouchers? Sign-in to your account via mobile app or website and head to the “Vouchers Available” tab. 25. What happens if my stored value/e-vouchers expire? We are unfortunately unable to refund any stored value or allow the redemption of any e-vouchers that have expired. 26. Can I top-up stored value or purchase e-vouchers for another Friend of BreadTalk Rewards? You can purchase e-vouchers as a gift and send them to another Friend of BreadTalk Rewards through our portal or app. Simply head to “E-Gift” to shop away! 27. Can my BreadTalk Rewards Card/App be used in BreadTalk or Toast Box outlets outside of Singapore? You will not be able to use the card outside of Singapore yet as this is a rewards program unique to our geographical location at the moment. 28. What is the difference between this BreadTalk Rewards card and the Toast Box Kopi Card? The BreadTalk Rewards program provides more value such as the ‘Buy 1 get 1 Free’ e-vouchers (for new user only) and birthday privileges as well as the convenience of cashless payments with the mobile app. You can also use it at over 100 BreadTalk and Toast Box outlets islandwide in Singapore. 29. How can I view my account summary and transaction history? Your account information is updated real-time. You may view your account information by signing-in through this page. 30. How do I update my personal particulars? Simply head over to the “My Profile” tab! 31. Is it possible to have more than one (1) BreadTalk Rewards card? Yes, you may register up to ten (10) BreadTalk Rewards cards with one account. 32. What brands can the BreadTalk Rewards card be used at? The BreadTalk Rewards card can be used at all BreadTalk and Toast Box stores* in Singapore only. 33. I still have the Toast Box Kopi Card. what do I do with it? You may continue to use the kopi vouchers in your Kopi Card within the validity period until they are used up, as the kopi vouchers are not transferrable to the BreadTalk Rewards card. Meanwhile, you can download our App and register to be a Friend of BreadTalk Rewards and enjoy the same kopi voucher package on the BreadTalk Rewards card too! Good things are never enough! If you have further questions and can’t find your answers here, drop us a note at friends@breadtalk.com or call us at (+65) 6747 1211. We will come back to you soon! Bun E-Vouchers in the BreadTalk Rewards card are valid for 4 months upon purchase or top-up, only redeemable at all BreadTalk Singapore stores. BreadTalk Rewards card must be presented at point of purchase for redemption. Redeemable for buns priced $2.10 and below only. Strictly no extension is allowed for expired bun E-Vouchers. Beverage E-Vouchers in the BreadTalk Rewards card are valid for 4 months upon purchase or top-up, only redeemable at Toast Box Singapore stores excluding Toast Box at Marina Bay Sands and outlets in Food Republic or Food Opera (313@Somerset L5, Causeway Point L4, ION, Manulife Centre, Parkway Parade, VivoCity L3, Wisma Atria). Top-up is required for other serving sizes or cold beverages. The beverage E-Vouchers can be used to redeem small size hot beverage including Kopi, Teh, Yuan Yang and Milo. Strictly no extension is allowed for expired beverage E-Vouchers. The balance beverage E-Vouchers in the BreadTalk Rewards card are non-refundable. Limited to 1 item, one-time redemption via e-voucher. E-vouchers are valid for one-time use within the first month of your sign-up. For buns $2.10 and below from BreadTalk, and small hot beverage from Toast Box. The promoter is BreadTalk Pte Ltd (BRN: 200003528M) of BreadTalk IHQ, 30 Tai Seng Street, #09-01 Singapore 534013 (the “Promoter”). The promotion period commences at 0000hr (GMT+8) on 26 Nov 2018 and ends 23:59hr (GMT+8) on 31 Dec 2018, both days inclusive (the “Promotion Period”). The promotion is open to all BreadTalk Rewards cardholders (the “Eligible Entrants”). This promotion is not valid in conjunction with any other promotions, discounts, vouchers or privileges. To enter, Eligible Entrants will receive 5x $2 BreadTalk Rewards E-Voucher with every top-up of $50 in their BreadTalk Rewards card within the Promotion Period. For existing card: the stored value topped-up in the BreadTalk Rewards card cannot be used as a payment method for top up of stored value in the same card. Stored value top-up of a new card: The stored value topped-up in the BreadTalk Rewards card cannot be used as a payment method in purchase of stored value BreadTalk Rewards card. $2 BreadTalk Rewards E-Vouchers are issued to each Eligible Entrants for every $50 top-up in the BreadTalk Rewards card. Top-up SGD$50 and receive five (5) $2 BreadTalk Rewards E-Voucher. 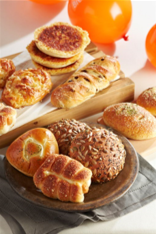 Top-up SGD$100 and receive ten (10) $2 BreadTalk Rewards E-Voucher. With every successful top-up of $50 into the BreadTalk Rewards card, the $2 BreadTalk Rewards E-Vouchers will be credited into the BreadTalk Rewards card the following working day at 0100hr. If member tops up SGD$50 into the BreadTalk Rewards card on 26 Nov 2018, the $2 BreadTalk Rewards E-Vouchers will be issued to member’s BreadTalk Rewards card on 27 Nov 2018 at 0100hr. $2 BreadTalk Rewards E-Voucher is redeemable with a minimum spend of $6 nett in a single receipt. $2 BreadTalk Rewards E-Voucher is not applicable for the purchase of the $18.60 BreadTalk Bun/Toast Box Kopi Package deal and any other on-going promotions. $2 BreadTalk Rewards E-Voucher is valid for 3 month from the date of issuance. Each $2 BreadTalk Rewards e-voucher must be used in a separate transaction. E-vouchers cannot be combined and used in a single transaction. Strictly no extension is allowed for expired $2 BreadTalk Rewards E-Vouchers. To redeem any $2 BreadTalk Rewards E-Voucher, BreadTalk Rewards e-card QR code or physical card must be presented at point of purchase. $2 BreadTalk Rewards E-Vouchers are not exchangeable, refundable or redeemable for cash or other goods or services. $2 BreadTalk Rewards E-Vouchers cannot be transferred to any other person, unless agreed to by the Promoter. $2 BreadTalk Rewards E-Voucher is valid for 1 time redemption in a single transaction. $2 BreadTalk Rewards E-Vouchers credited into the in BreadTalk Rewards card are non-refundable, non-transferable, and non-exchangeable for cash or any other items. The Promoter, in its discretion, reserves the right to amend the terms and conditions without prior notice. If any act, omission, event or circumstance occurs which is beyond thereasonable control of the Promoter and which prevents the Promoter from complying with these terms and conditions, the Promoter will not be liable for any failure or delay in performing its obligations. The Promoter reserves the right (subject to any applicable law) to cancel, terminate or modify or suspend this promotion. The promotion period commences at 0000hr (GMT+8) on 7 May 2018 and ends 2359hr (GMT+8) on 17 June 2018 (the “Promotion Period”). To enter, Eligible Entrants must either purchase 12 Buns at $18.60 from BreadTalk / 12 Kopi at $18.60 Package from Toast Box or Top-up Stored Value into their registered BreadTalk Rewards card both in-store and online. 1st Prize to 3rd Prize – Each winner will win one (1) pair of Category 2 tickets worth $536 per pair to Liu Jia Chang Concert (刘家昌往事只能回味2018音乐会). 4th to 6th Prize – Each winner will win one (1) pair of Category 3 tickets worth $476 to Liu Jia Chang Concert (刘家昌往事只能回味2018音乐会). Prizes will be awarded in corresponding order in accordance to the accumulated amount topped up. Concert is held at The Star Theatre, The Star Performing Arts Centre, Singapore 138617 on 20 or 21 July 2018. Prizes are not exchangeable, refundable or redeemable for cash or other goods or services. A prize cannot be transferred to any other person, unless agreed to by the Promoter. By accepting the prize, the winners agree to the conditions of its use. A total of six (6) Friends of BreadTalk Rewards member who fulfill the eligibility and entry criteria will be judged based on the highest accumulated top-ups during the qualifying period to receive the Prize. Scenario 1 If Friends of BreadTalk Rewards member’s account has two BreadTalk Rewards cards, and both cards are linked to their BreadTalk Rewards account, any top-ups in either of the cards during the qualifying period will be taken into calculation for the accumulated top-up value. Scenario 2 If Friends of BreadTalk Rewards member’s account has two BreadTalk Rewards cards, only card 1 is linked and card 2 is not linked to their BreadTalk Rewards account. Only top-up value in card 1 during the qualifying period will be taken into calculation for the accumulated top-up value. Scenario 3 If Friends of BreadTalk Rewards member’s account has two BreadTalk Rewards cards, and both are not linked to their BreadTalk Rewards account. Any top-up value in both cards during the qualifying period will not be taken into calculation for the accumulated top-up value. Scenario 1: If Friends of BreadTalk Rewards member tops up a value of $50, $50 will be counted as the qualifying/entry amount. Scenario 2: If Friends of BreadTalk Rewards member purchases either of the 12 Buns at $18.60 from BreadTalk / 12 Kopi at $18.60 Package from Toast Box, the value of $18.60 will be counted as the qualifying/entry amount. Scenario 3: If Friends of BreadTalk Rewards member redeems any of the 12 Buns at $18.60 from BreadTalk / 12 Kopi at $18.60 Package from Toast Box, the value of the voucher will not contribute to the accumulated amount. Valid from 23 August to 9 September 2018, while stocks last. BreadTalk Rewards card/e-card must be presented upon purchase. Valid for one (1) redemption per transaction. Discount is only applicable for the purchase of mooncake on per box basis. Not valid with other promotions, discounts and privileges. Discount is strictly non-transferable and non-exchangeable for cash or any other vouchers and products. Exclusive discount vouchers are while stocks last. I12 Katong, Ang Mo Kio Hub, Bedok Mall, Bugis Junction, Causeway Point, Clementi Mall, Compass One, Eastpoint Mall, Great World City, Junction 8, Jurong Point, NEX, Northpoint City, Novena Square, Parkway Parade, Raffles City, Resorts World Sentosa, Sun Plaza, Tampines Mall, Tiong Bahru Plaza, Toa Payoh HDB Hub, VivoCity, Waterway Point, Westgate. 100AM, AMK Hub, Bugis Junction, Causeway Point L1, The Clementi Mall, Heartland Mall, Hougang Mall, Junction 8, Jurong Point, Kitchener Complex, Millenia Walk, myVillage, nex, Novena Square, Paragon, Parkway Parade, Paya Lebar Square, Phillip Street, Plaza Singapura, The Rail Mall, Resorts World Sentosa, Shaw Lido, Suntec City, Tampines 1, Tiong Bahru Plaza, United Square, VivoCity L3, Waterway Point, Westgate. BreadTalk IHQ L1 kiosk (29 Aug-21 Sep), Chinatown Point, Paragon. The promotion period commences at 0000hr (GMT+8) on 17 Sept 2018 and ends 2359hr (GMT+8) on 14 Oct 2018 (the “Promotion Period”). The musical will be held at Resorts World Theatre, Resorts World Sentosa, Singapore 138617 from 7 Dec 2018 to 13 January 2019. Prizes are not exchangeable, refundable or redeemable for cash or other goods or services. A prize cannot be transferred to any other person, unless agreed to by the Promoter. By accepting the prize, the winners agree to the conditions of its use. A total of seventy-five (75) Friends of BreadTalk Rewards member who fulfill the eligibility and entry criteria will be judged based on the highest accumulated top-ups during the qualifying period to receive the Prize. Valid till 31 December 2018. BreadTalk Rewards card or e-card must be presented at the point of purchase. Not applicable for seasonal products; kindly enquire in-store for details. Not valid with other promotions, discounts, and privileges. Products are subject to availability, while stocks last. Redeemable for 1x Traditional Toast + 1 Small Hot Beverage only. To redeem any E-Voucher, BreadTalk Rewards e-card QR code or physical card must be presented at point of purchase. E-Vouchers are not exchangeable, refundable or redeemable for cash or other goods or services. E-Vouchers cannot be transferred to any other person, unless agreed to by the Promoter. By accepting the E-Vouchers, the member agrees to the conditions of its use. E-Vouchers can be redeemed at all Toast Box outlet in Singapore except Toast Box in Food Republic, Food Opera & MBS. E-Vouchers are not valid with any other promotions, discounts, vouchers or privileges. Strictly no extension is allowed for expired E-Vouchers. The Promoter, in its discretion, reserves the right to amend the terms and conditions without prior notice. While stocks last.